Wondering what life is really like on Canada’s wild and crazy west coast? 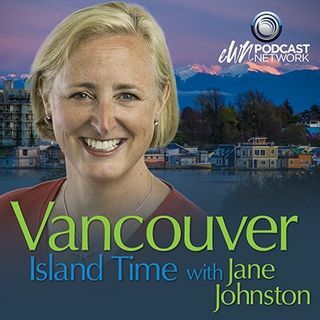 This podcast is all about the people, the place’s and Vancouver Island Time. Together we will explore this island paradise, a combination of ocean, city, and country living. We will meet the fabulous locals like the chicken lady and the fudge fairy, who have chosen Victoria and Vancouver Island as their home. And, we will learn what makes this place unique and special to those who live here. Welcome to the View Royal and Knockan Hill Area! Welcome to the Tillicum area! Welcome to Arbutus in Telegraph Bay!